The INR crunch has brought the value of the BTN down by 20%. This means that Nu 100 is equivalent to Rs 80. People are now willing to pay an extra 20% BTN in order to get supplies at the border towns. There are two factors determining this: one is the increasing rates in the market, and the other is the lengths that Bhutanese are going in order to acquire the INR after losing confidence in the BTN. For instance, a carpenter whose usual day wage is Nu 350 is charging Nu 400, a slipper whose MRP is Nu 400 is being charged Nu 450. A kg of chili is being charged Nu 5 more. “If this problem persists than I can imagine how much more the value of the BTN is going to drop,” said Penjo Dorji, a businessman from Phuentsholing. Although the government has been rationalizing that the INR crunch has led to some positive developments like the initiative to self-sustain, the lay man refuses to buy this. According to a source, there were a handful of Bhutanese who were holding accounts with the Indian banks through which they could procure INR with the help of Master Card. The banks across the border allows an individual to use three Master Cards belonging to different individuals and such was the rush that of the four banks in Jaigaon, two banks, the State Bank of India and the Central Bank of India closed their ATM facilities more than a month back. Technical malfunction was reported due to the huge INR withdrawal. However, both the outlets were opened recently. The other two, the HDFC bank and the Axis bank’s ATMs are still operational. Earlier, there was also an incident where a security guard of the HDFC ATM outlet was given a stern warning by the Indians for giving preference to the Bhutanese. 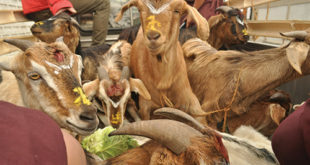 The Bhutanese were said to come with two to three Master Cards and making the most of the withdrawals. Owing to having to wait in long queue in the sweltering heat for hours, many Bhutanese are being said to be driving to nearby towns like Gurudaur and Hasimara to make ATM withdrawals. But with the BTN being a legal tender in Bhutan, the Royal Monetary Authority (RMA) refuses to acknowledge that the value of the BTN has fallen and that the Indians were taking advantage of the situation. According to the central bank, outside Bhutan (not border areas) the BTN does not serve its purpose but it does when it comes to the domestic circulation. “We still maintain the peg system and the BTN is in parity with the INR,” said the Director of Currency Management, Phajo Dorjee. Phajo Dorjee said it was the Bhutanese consumers who were creating the situation of down valuing the BTN. The RMA stated that many failed to understand that the BTN is still valuable because if there is no BTN there is no means of getting foreign currencies. The BTN notes goes through an array of procedures on order to be minted. Firstly, the RMA estimates the demand for notes on the quantum requirement that needs to be printed which is broadly estimated on the basis of economy growth (many factors like inflation among others contribute to this growth) and on the annual increase in the amount of BTN in circulation, and replacement of soiled notes. The final decision on the volume and value of the different denominations of notes that needs to be printed is taken by the RMA’s Board of Directors, and on the basis of the management’s estimates and recommendations, the decision is taken. 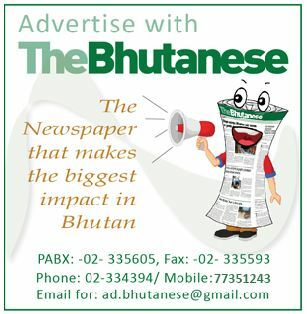 Bhutan outsources a huge sum amount for printing BTN. It pays in Euros to its agencies in places like London and Germany among others in accordance to contract agreement. It is usually called through tenders from various international security printers. For each denominations the prices are different, for instance to print Nu 1, the government has to pay a little more than Nu 1. The higher the denomination, the higher the cost of printing of notes. The mode of payment is 40% advance and 60% after completion. The order is usually said to be done in bulk printing, which is much cheaper. Depending on the currency stock, the outsourcing order by the central bank is done anytime between two to three years but usually, the printing order is called in about four to five years. The notes and coins supplied by the printers are stored in the central banks’ vaults and issued to the banks and the public whenever required. Following this, the RMA issues BTN to all the financial institutions in Bhutan and depending on its stock, sometime it issues BTN in six months and sometimes more. The amount is usually between Nu 300 to Nu 500mn. To acquire BTN, the financial institutions put up a requisition to the central bank and depending on the bank’s currency chest facilities, the RMA provides the BTN, however, it is only in those branches having the currency chest facility. And for the financial institutions to avail the BTN, they will have to have enough balance in their current deposit account with the RMA. bhutanese citizens had been robed by RMA; 20% of their money..i m domed!!!! The people of Bhutan are responsible for the same. Why go to Jaigoan for buying half kg of chilli( in fact you get just 400gms of chilli because the vendors there cheat a lot and you do not get the worth your money) when you can buy 500gms at Nu.25/- in Bhutan whereas you feel proud that you got it at Nu.20/- in Jaigoan! Lets all first laugh……. Hahhahahha….. And sigh…..aah. There is another article in this paper which estimates 9.8% increase our in GDP in eleventh fyp but are we aware this is a negative growth if BTN falls by 20% against INR? Say the official agreement is still valid but that doesnot apply in real cases, we dont buy from government of india, we buy from it’s bussinessmen, our govt has disturbed their mind by closing their accounts for which people are paying now. Expect and prepare for worse in future. Now the economy is falling, this government may curse and whine but it should actually resign. The bold RMA has paved our way to economic dismay, it is obvious no one in RMA actually had contributed directly, it’s a result of ‘not-my responsibility’ attitude. People in finance ministry rejoice the foreign trips prescribed by other commision, and are unable to do anything, infact now nothing remains within finance ministry’s reach. In one issue of this paper, the Governer was found saying ‘economist and experts of bar’, now should he be questioned why his accusations proved wrong? Or did the drunkards’ words made a wrong turn to become true today? There is conflict within the ruling party, agriculture minister openly condemned the PM’s words telecasted, there is no logic in involving FCB in vegetable import because the FCB will have to first sell to vegetable vendors and vendors will sale to retailers which will add to price the consumers will have to pay. The consequences of the ruppe crisis are grave, those constructions begun are under brakes, soon big hydropower project will be halt. But foreign trips of DPT propagandist and GNH advocates never stop, nor the vehicle quota and fuel import, we have planned to import electricity as wel. Soon hospitals will run short of medicines, schools will have to serve curryless food to children, cloths and footware merchants will soar the prices of their merchandise in their store since no INR is available to import new stocks, vegetable vendors will hike the prices of vegies, public transport will cost 20-30% high. Unemployment will go up, child mortality and maternal health will be neglected and any media reporting such incidences will be threatened and no adverts will be given. First change should begin from, land scandal cases, bussiness enterprenuers knowing biofuel production should be encouraged, farmers should be given financial incentives and schools should be allowed to run microfinancing, else we will have to cut government jobs. Did anyone think that three times rise in civil servants’ salary is the root cause of rupee crisis now? It is not rupee crisis alone, see it’s economic topple, believe me there are still ways, but this shall be used as tools to assimilate votes by new parties and are not availabe for immidiate use. Few measures mentioned above are just to seek public attention. No one knows what to do, people ask suggestions from novice not being ashamed. Lastly, does it mean that we are beggers and compelled live on alms of indian currency? Do we really have no alternatives of ‘earning’ INR? I see many, lot more. But cultivating potatoes, exporting them in season and importing lower quality potatoes at higher prices during off seasons is not the solution, same is true with other products. It by mere luck that this government got a chance to lead for one term, next vote will cost them.